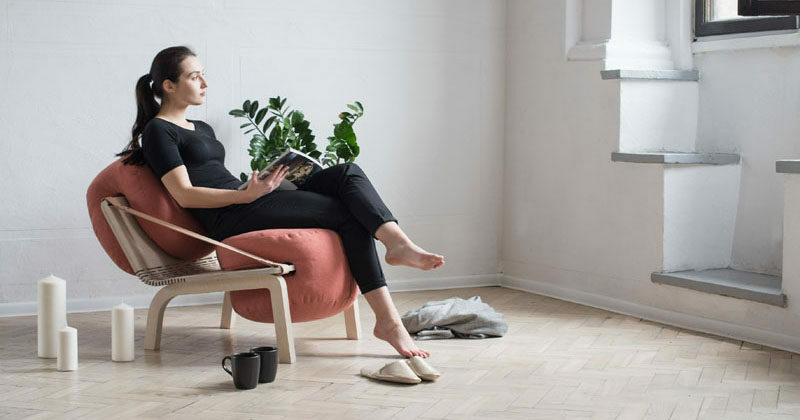 Polish designer Agnieszka Kowal has created ‘Dango’, a modern plywood armchair with cushions that can be removed and used as poufs. 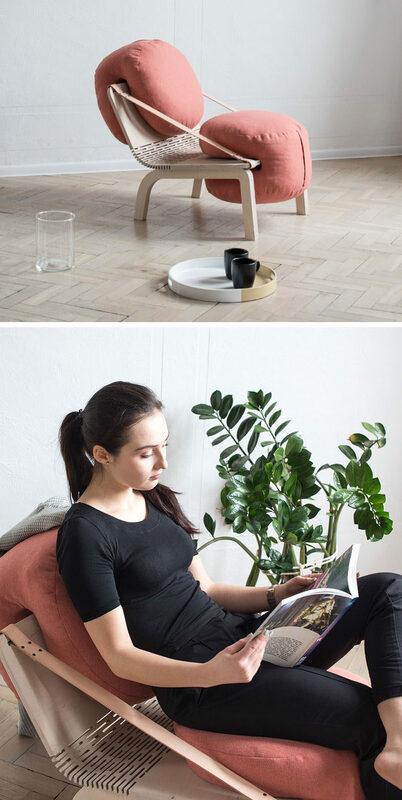 Her inspiration came from when she had to help friends move their heavy and chunky couch and she thought she could design a piece that would be small, easy to move and have the possibility of increasing the number of seats. 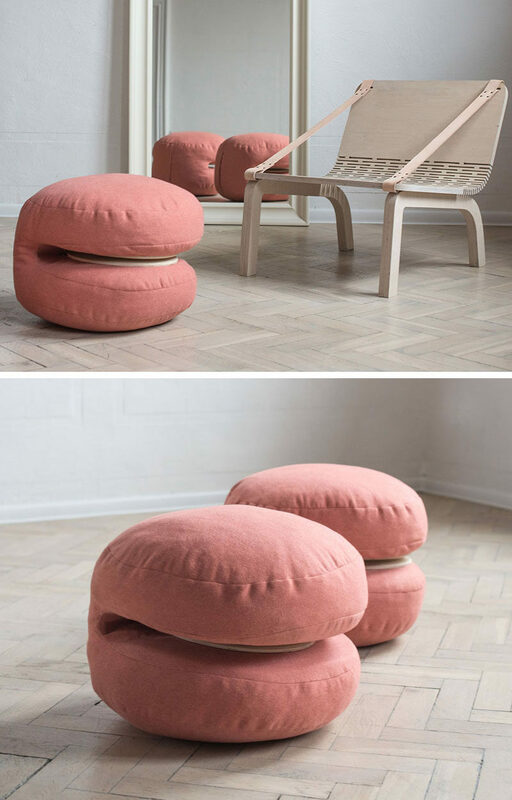 The two cushions can easily slide off the chair and turn into two ottomans. They are made from an upholstery fabric that’s filled with sponge and a filler, and they have a structural element of plywood. The plywood chair can be used without the cushions, and a leather belt provides support to the chair and provides armrests for the user. The seat of the chair is a single piece of plywood that has been cut in a pattern that allows it to bend and become flexible.